I am quite partial to a double whisky after a long day. I love it's smokey tones, the warmth of the oak and the tingle of alcohol that dances over your tongue. There is no doubt that whisky is a bold flavour. Perhaps you are not a whisky lover? Maybe a hint of sweetness is what you need? Enter whisky liqueurs. Often much sweeter in taste and infused with ingredients that mute some of the harshness of a traditional whisky they are also the perfect addition to cocktails that ask for the addition of a sugar syrup. 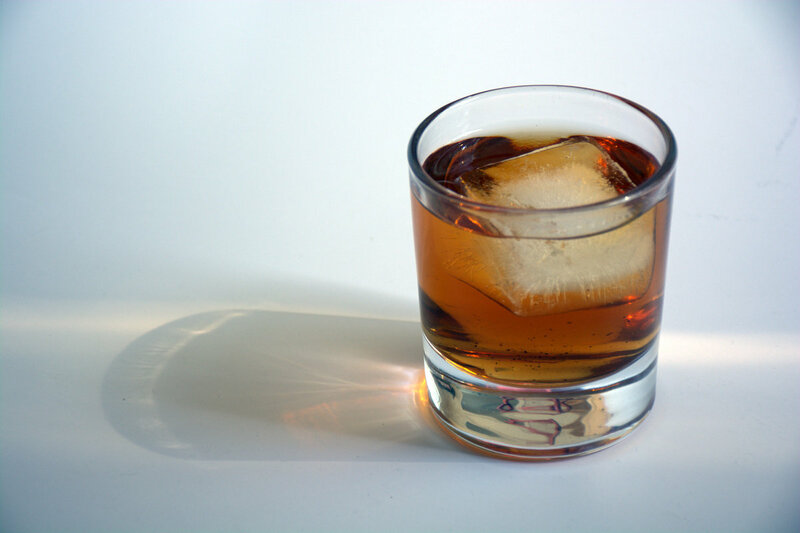 Just substitute the liquor and miss the added sugar and you have a whole new flavor profile to play with. I was sent some Cabot Trail Whisky Liquor to test for this little space of mine! Another great mail day! 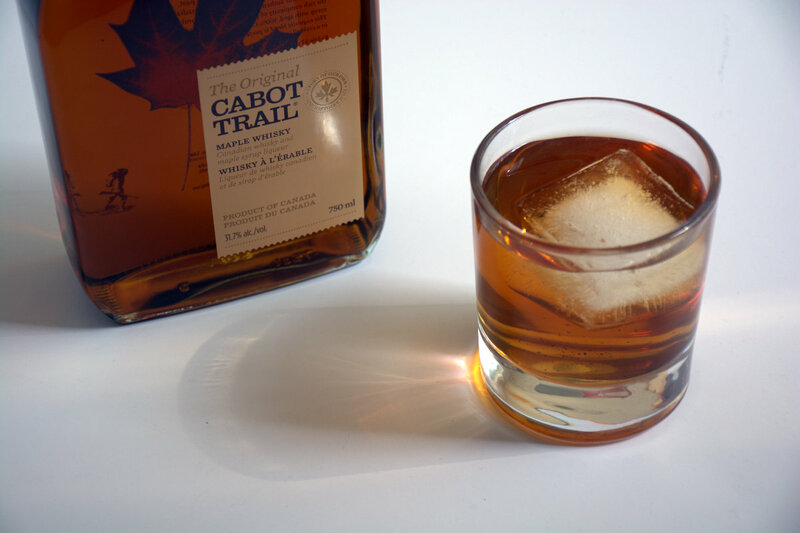 Inspired by Canadian tradition, Cabot Trail Maple Whisky is a unique blend of Canadian whisky and pure grade A maple syrup. Serve on ice or in a cocktail and awaken the spirit of the adventurer in you. It's a great looking bottle and its smells divine. It's aromatic and rich, but not sickly sweet; you just want to dive in! I love it straight up and a drizzle (or a very good glug)over some vanilla ice cream is the grown up treat you need right now! Infuse 1 tablespoon of Earl Grey tea leaves (Or 1- 2 tea bags depending on how strong you like your tea) in 500ml of cold water. Allow to cold brew for about an hour. 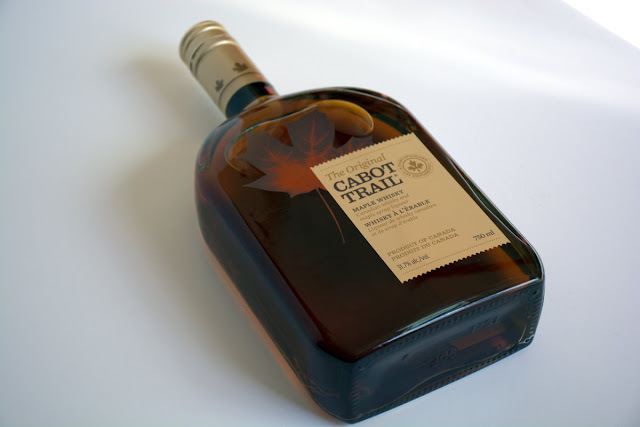 Strain the tea infusion, then mix 100ml of it with 25ml Cabot Trail Whisky Liquor. Pour into a tall, ice filled glass and garnish with a twist of orange. 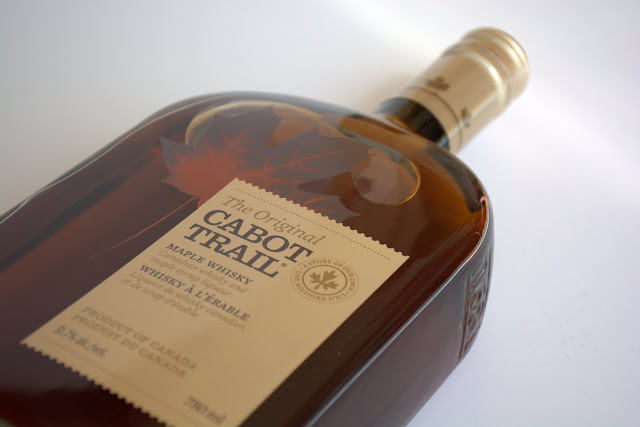 I was also sent a bottle of Cabot Trail Maple Cream!! Oh my goodness.... it's so good! More about this delicious treat that I am totally not sharing with anyone soon! I was sent a free bottle of Cabot Trail Whisky Liqueur to test for the blog. 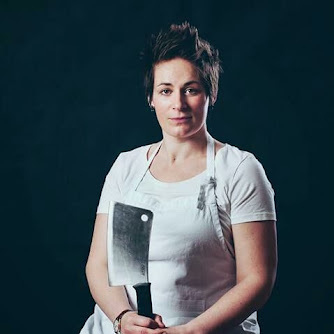 I tasted, tested, created and shared what I thought right here on the blog. They didn't pay me to say nice things. Photographs, recipes and terrible use of grammar is as always my very own.